In a shocking incident, the official twitter handle of Congress vice-president Rahul Gandhi - @OfficeOfRG -was hacked on Wednesday. NEW DELHI: In a shocking incident, the official twitter handle of Congress vice-president Rahul Gandhi - @OfficeOfRG -was hacked on Wednesday. A series of obscene tweets were posted on the timeline, late Thursday evening. 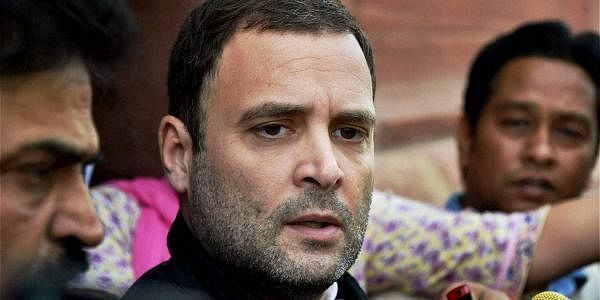 The handle, operated by a team in Rahul’s office, had to literally wrestle with the speed-hackers to delete the obscenities and restore the account. But it was hijacked again. The hackers ran away with the handle, incessantly tweeting abuses one after the other. The offensive tweets were related to the demonetization, corruption and the Gandhi’s family and his alleged sexual preferences. The first tweet read: “Coming up next is a full Congress exposure of all the malpractices. This is the end of the corrupt era! We are legion.” There were nearly 115 replies, 283 retweets and 190 likes. It’s suspected the double security layer that protects high-profile VIP accounts were not operational.